After a long hiatus, Samsung resurrected the much-loved Good Lock app in June this year. 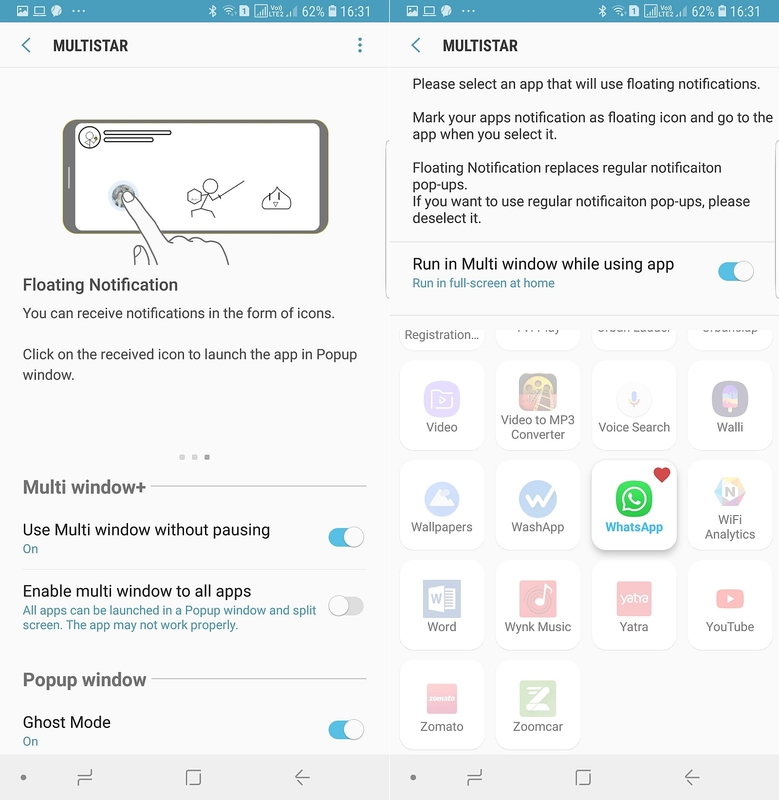 In our hands-on with the app, we were impressed with the long list of features and deep customization options it offers to Galaxy owners. The app is now receiving an update with new features, including a new add-on called MultiStar. 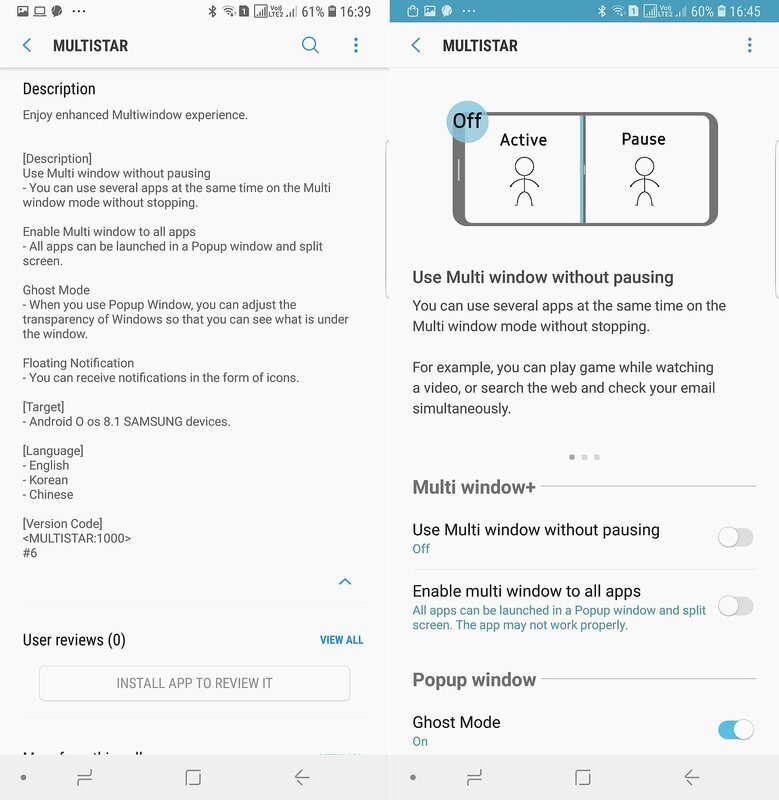 The MultiStar add-on focuses on Multi Window options and is only compatible with Galaxy devices running Android 8.1 and above. The most impressive feature of the MultiStar module is the ability to use apps in Multi Window mode without pausing any of them. 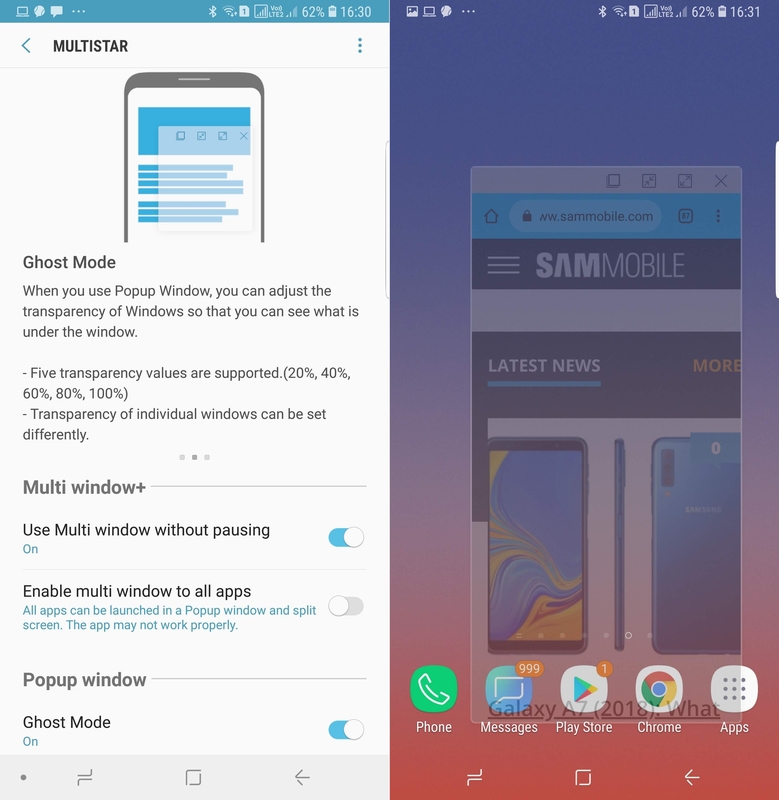 It allows for much better multitasking when compared to the current Multi Window implementation in the default Samsung Experience launcher. MultiStar also brings a Ghost Mode feature which allows users to control the transparency level of any pop-up window. It currently supports five transparency levels, starting at 20% and going all the way up to 100% in intervals of 20. This is an addition to the Pop-up View multitasking feature all Samsung devices offer. Another major feature in the new Good Lock 2018 update is called Floating Notification. When enabled, it displays incoming notifications as app icons, which, when tapped, will open the application in a pop-up window. Other changes in the update include support for Routines in LockStar, creating new clock styles with ClockFace, and some bugfixes. The Good Lock 2018 update is already rolling out via the Galaxy Apps store. Once the update is installed, you can access the MultiStar plugin from within the main Good Lock app. Do remember that the Good Lock 2018 app is available only in select regions and for select Galaxy devices. If the app is not yet released in your region, you can download the APKs from our database. Which Samsung phones are running Android Oreo 8.1 currently? This is designed for the Tab S4 – clearly the best way to multi-task on Android! Also Note. Bixby voice is on the Tab S4, It just cannot be enabled yet. routines though gives the option of AOD – the setting does not exist and the routine does not work unfortunately. The update was available on a Verizon Note 8, but there is no sign of MultiStar, nor is it mentioned in the description. Am I missing it somewhere? Once you’re updated Good Lock, open the Good Lock app and MultiStar should be the last option in there. Tap that and it will take you to the download screen. EDIT: Oh right, only 8.1, so nothing for the Note 8.